Push the top of adapter ZIF socket to open it. Insert the device into the adapter ZIF socket. 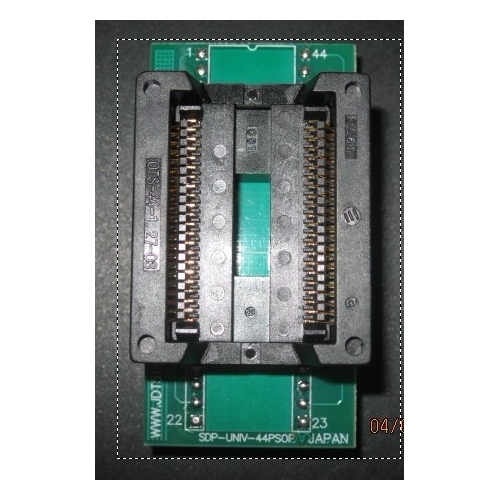 The right position of the programmed device in adapter ZIF socket is show at picture near (mainly left above) the adapter ZIF socket. 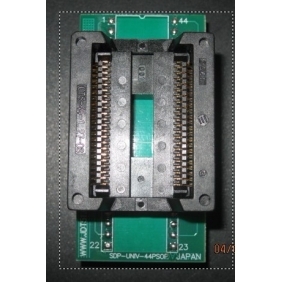 Then release adapter ZIF socket. 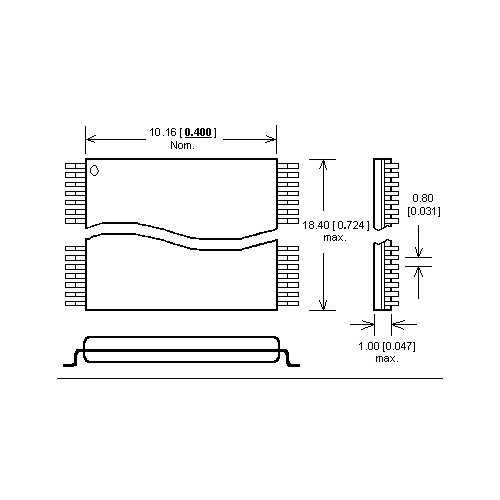 If you use this adapter for devices with less than 44 pins, then place device to the bottom edge of adapter ZIFsocket. Upper contacts stay unconnected.